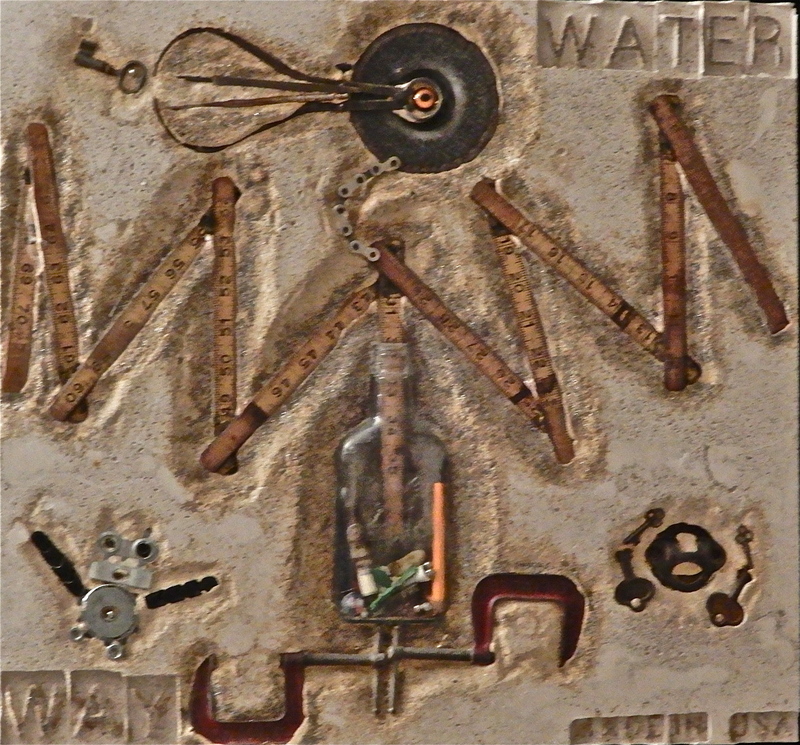 Mankind’s interaction with its natural environment is the basis and subject of this artwork. Just as natural fossils are the imprints of prehistoric life on earth, our “Modern Fossils” ponder the substances we are currently leaving behind in our environment, to be unearthed far in the future. Our original plaster castings, which were inspired by the embellished metal storm drain covers that are found on the curbsides of every street in our local rivertowns, represent our community’s impact on the life-giving river and it’s environment. 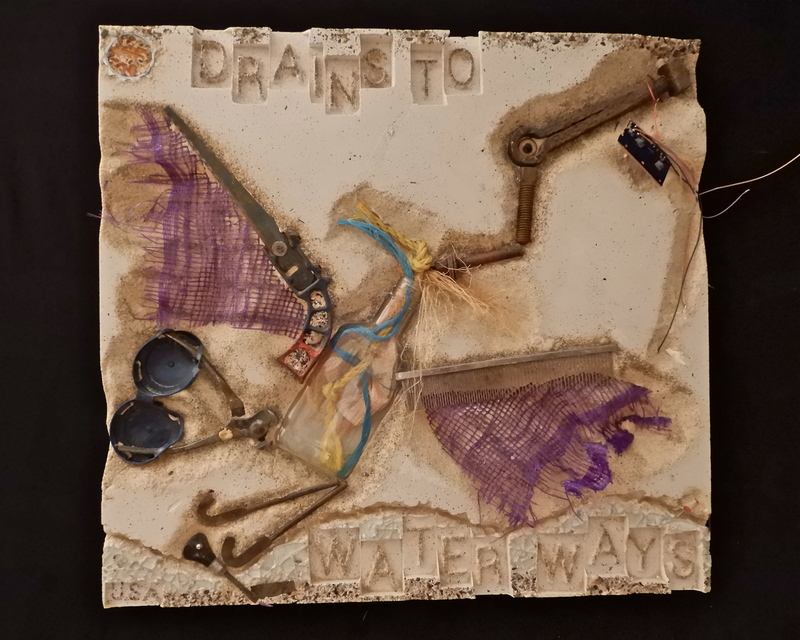 The message on these castings, “Dump No Waste, Drains to Waterways”, proclaims the truth that the river’s health is key to the local community’s existence and future. 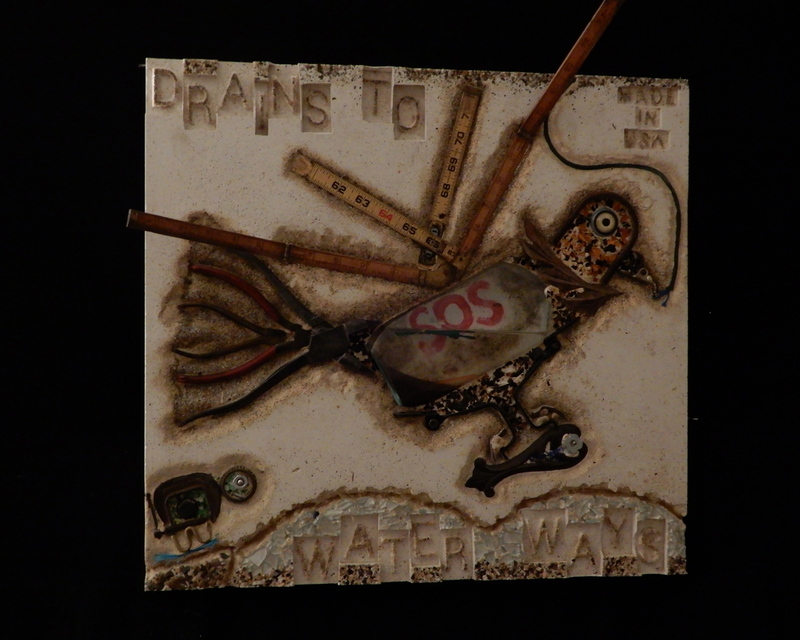 We collect both natural materials and manmade residue from the river and it’s surrounding environment, which we use to design the images in the castings and visually illustrate this message. The resulting artwork embodies mankind’s struggle to maintain a balanced relationship with nature. 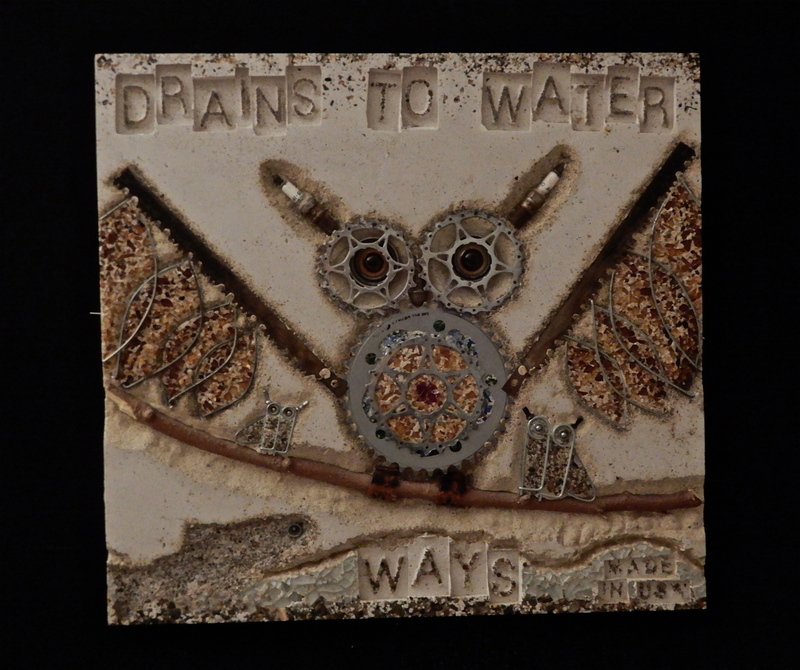 Original, handmade plaster casting inspired by local rivertown storm drains and designed using natural and manmade objects found in / around the Delaware River and other local waterways. 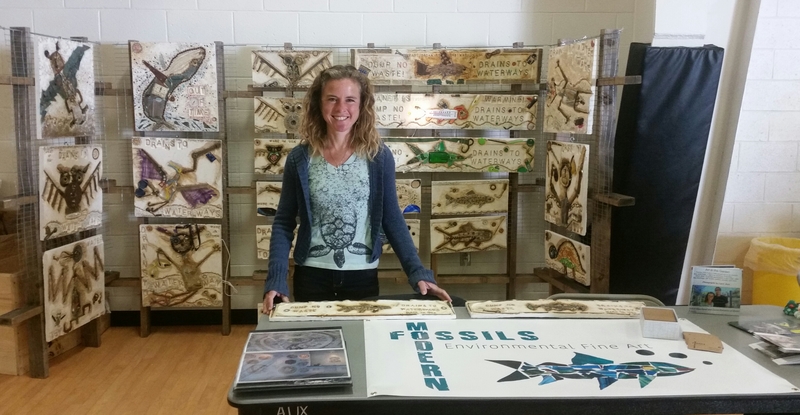 Embodies the vital environmental message proclaiming the urgency of keeping our waterways clean and healthy.